What does your world made of? Are they made out of love? Peace? Or Anxieties? Stress? I've been questioning myself a lot lately, trying to position myself at the right position in my world because I know that me, myself should be the center of my world before others. In order to love and cherish others the right way, I should love and cherish myself so that I would knew the way to do it. Ain't this a beautiful scenery? 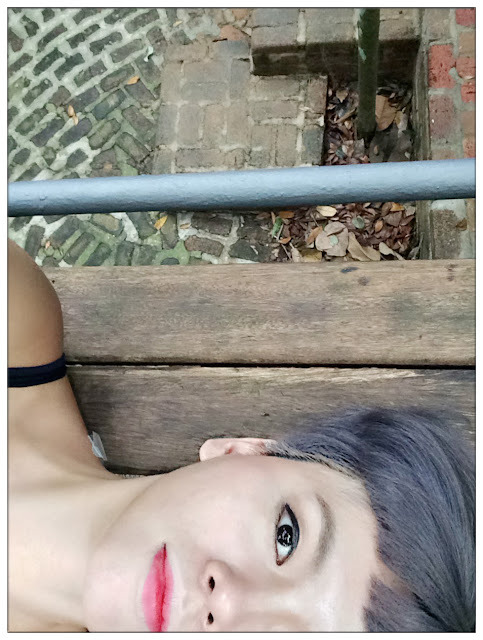 I was shooting a short film at Sekeping Serendah two weeks ago and the surroundings is just awesome! I would literally stare into the sky, into the woods, listening to sounds of crickets, cicadas and birds, let my mind wander off to another world for a long long time when I'm off shooting. Woods and flowers that's surrounding the premise is purely inspiring. 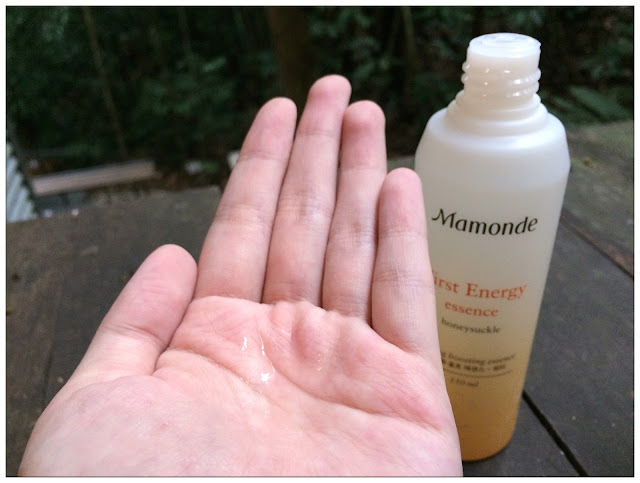 I wanted all these goodness to be absorb into my skin, I wanna feel the essence of plants from skin deep, and smarty me, I bought Mamonde's skincare with me for the short work trip because I knew my skin needs goodness which is as good as the negative ions that the forest's releasing. 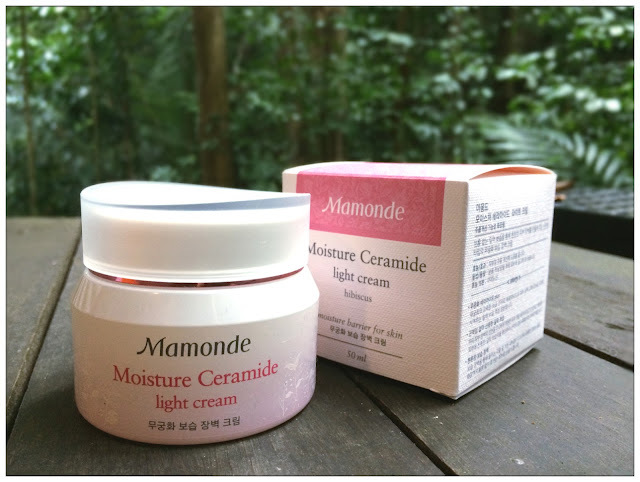 Mamonde, which literally means "My World" in French, is the latest imported South Korea beauty brand that's gonna be available next week at Aeon Bandar Utama. 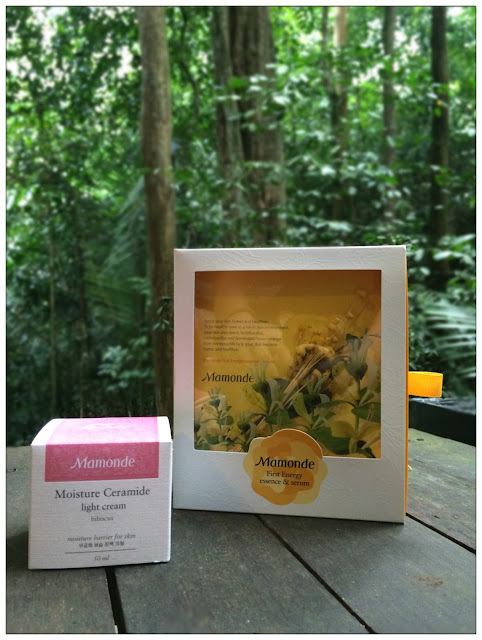 It's my pleasure to be one of the first few bloggers who get to try on Mamonde's products way before its release. There are a wide range of skincare and makeup products that suits every woman's needs which price range from RM6- RM169. "Inspired by flowers" is the tagline of Mamonde where flower, the sign of beauty and symbol of grace, is able to communicate with ones soul in a magical way that words can't be explain. Research & Development of Mamonde - AmorePacific has discovered the close relationship between flowers and a woman's beauty. From a flower's roots to its stem and petals, each and every inch of flowers contains amazing power and energy which can be nourishing to the skin. 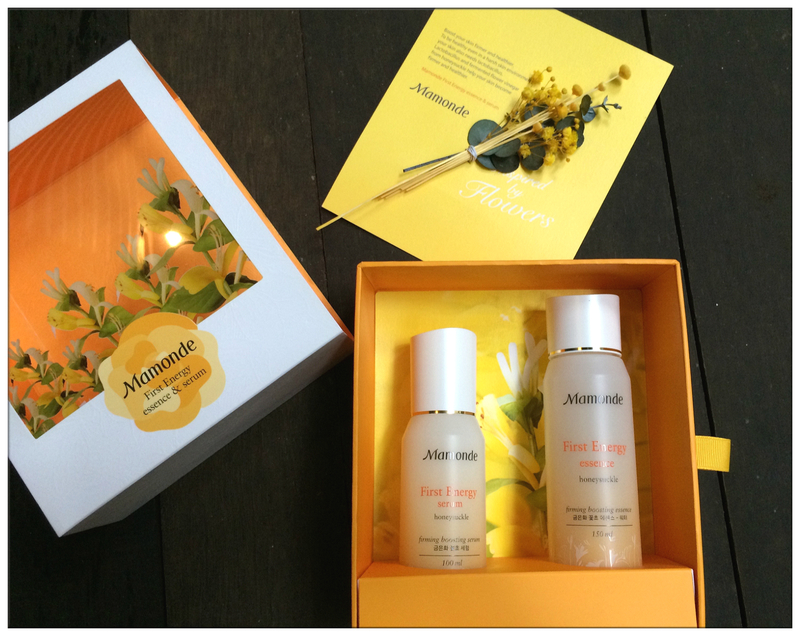 AmorePacific and Mamonde's flower science technology bring women's beauty into bloom so that every woman are radiating in blossoming beauty with Mamonde beauty products. Vitalizing: Honeysuckle and Evening Primrose. Moisturizing & Hydrating: Demask Rose (Rose Water), Hibiscus, Narcissus and Peach Blossoms. Pore Care & Oil Balancing: Heartleaf Houttuynia and Sage. The First Energy Essence/Serum, Cover Powder Cushion, Age Control Power Eye Cream, Moisture Ceramide Cream, Lotus Micro Cleansing Foam, Rose Water Toner and Floral Hydro Cream are Mamonde's star products. I'm currently using Moisture Ceramide Cream and First Energy Essence + Serum and I'm loving them to bits. I loathe thick and heavy moisturizing cream and I find Mamonde's Moisture Ceramide Light Cream in Hibiscus is the perfect moisturizing cream for my daily use as it is so light-weight and absorbs into my skin in an instant. 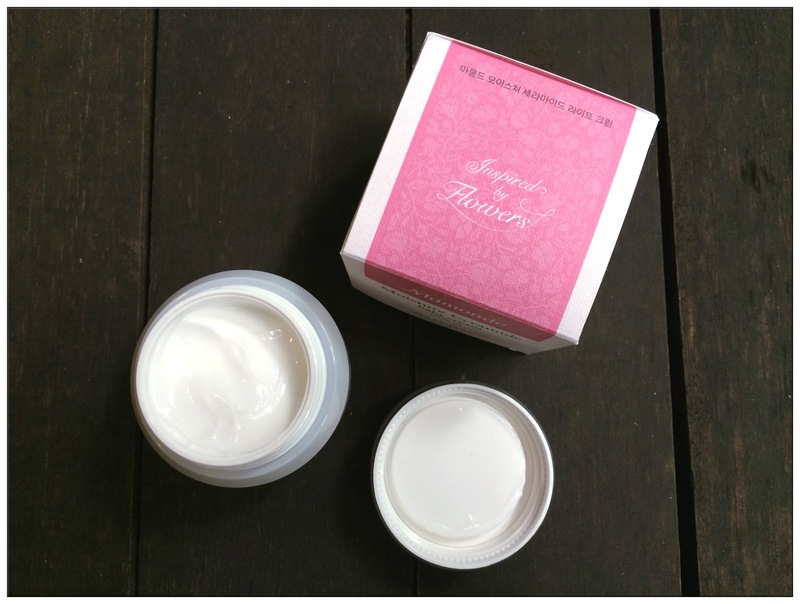 This Moisture Ceramide Light Cream is made of Rose of Sharon, Hibiscus and Ceramide, a perfect combination of natural moisturizing elements which provides flawless hydration wall on my skin. 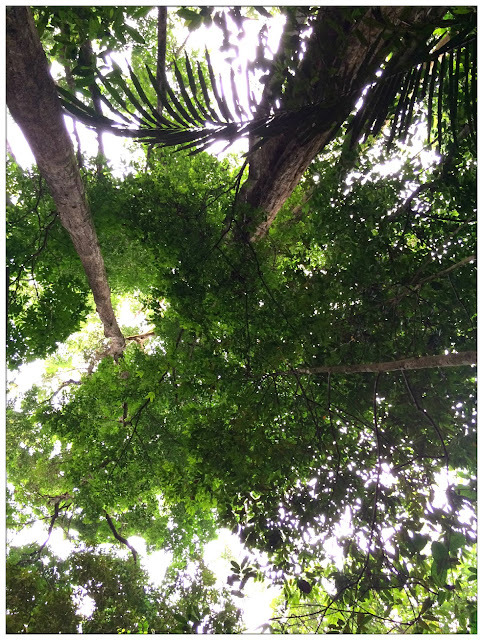 Another reason I felt so good while surrounded by the forest is that I can felt the nature eliminates the positive ions in me, the bad ones, recharge me with good ones and my mind is at ease for most of the time. That's when I can think clearly and thoroughly about stuff and clarity in mind is very important for making decision. Same goes to Mamonde's First Energy Essence and Serum. Sometimes I felt that my skin need a boost in order to receive all the benefits from good beauty products and somehow I can feel the blockage is there even though I've used scrubs and peeling gel regularly. 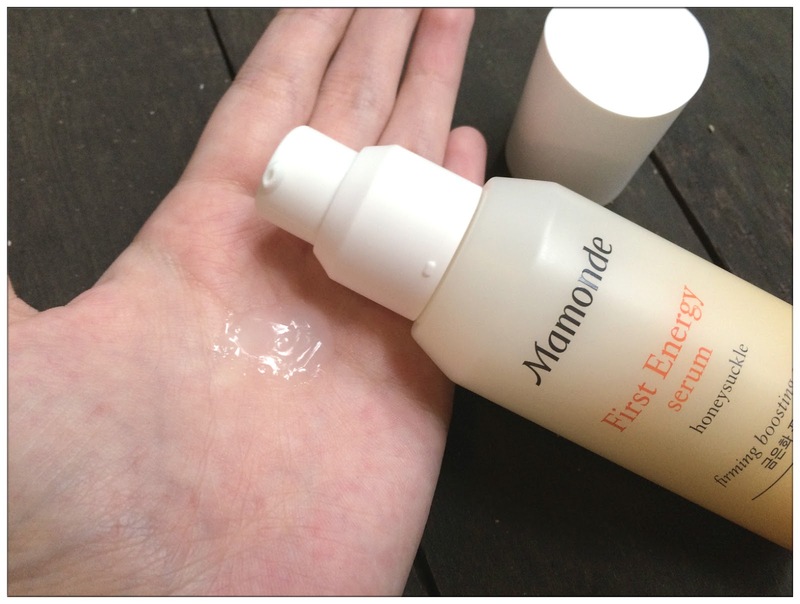 Mamonde's First Energy Essence and Serum is a booster to uplift my skin and making absorbing nutrients and benefits from beauty products easier, giving my skin a healthier and suppler appearance from inside out. This is an upgraded version of First Energy Essence and Serum with Antioxidant Lactobacillus that is extracted from Honeysuckle Flowers. While the Lactobacillus is blended together with the 1 year-old fermented "Flower Vinegar", it enhanced skin's anti-oxidative and strengthen skin's immunity, making skin less susceptible and more resilient to external aggression. The "flower vinegar" is a natural fermentation process from all parts of Honeysuckle flowers for over a year, made up to 81.31% in the bottle of essence and serum, are to aids in density of skin for transparent and unify skin texture. Besides that, "flower vinegar" contains antioxidant Polyphenol that provides strong antioxidant effect to skin for beautiful and radiant looking skin. The smell of Honeysuckle flower is so nice and refreshing, both essence and serum are lightweighted as well as easily absorb into my skin, prepping my skin for the following beauty routine. Skin feel nourished and better looking on the texture and feels firmer too. It has anti-wrinkle and whitening effect, which are what I'm looking for in skincare products lately. I can't wait to see the full line of skincare and makeup products from Mamonde as their first beauty counter will be officially open on 30th July and be sure to dropby Aeon One Utama and check'em out yourself!